We know West Palm Beach. 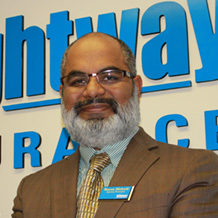 Brightway, West Palm Beach is not your typical independent insurance agency. We’re a Brightway agency which means we offer you expert advice and more choice in insurance companies than any other independent agent. And, we have deep relationships with the insurance companies we represent. We’ll ask you to about you, your family and your needs. Then, we’ll combine our insurance company expertise to build a customized policy for you that provides the coverages you need at a price you want.